This article was originally published in The ASCO Post, July 10, 2015, Volume 6, Issue 12. I had been watching a lump in my left breast for signs of cancer for 10 years, from around the time I was 21. Screening tests had failed to find any tissue abnormality, and my doctor said I was too young to have cancer, so I wasn’t overly concerned. But when I noticed the lump getting bigger in 2010, I went back to my doctor, and she performed a biopsy of the tumor, which showed that I had invasive ductal carcinoma. At just 31, I thought I still had time to meet someone, get married, and start a family, but now I was facing treatment that would irrevocably alter those plans. My oncologist was recommending trastuzumab (Herceptin) to shrink the tumor, then a lumpectomy, then adjuvant radiation, followed by 5 years—which has since changed to 10 years—of tamoxifen (Nolvadex, Soltamox). Because I was still hoping to have a family one day, before my treatment began, I met with a fertility specialist who counseled me on harvesting my eggs, then fertilizing the eggs through a sperm donor, and cryopreserving them until after my cancer treatment was over and I was once again cancer-free. We were successful at harvesting 8 eggs, but 4 failed to become fertilized, so 4 eggs are cryopreserved for possible future use, but the idea of going through this process again after I’m finished with tamoxifen, when I’m in my 40s, is daunting, and it’s difficult for me to plan that far into the future. The fertility treatment and insurance copays for my cancer treatment have left me $28,000 in debt, which will take me a long time to repay. But even more difficult to cope with than the financial burden cancer has left in its wake is its physical destruction. Because a substantial amount of tissue had to be removed to capture all the cancer cells, I opted to have breast reconstruction surgery, but the result was not good, and I’m self-conscious about how I look. In addition to the scars on my chest and my back from the muscle flap and skin graft used to rebuild my breast, tamoxifen has left me 60 pounds heavier and in full-blown menopause, so the thought of meeting someone and becoming intimate is unimaginable to me right now. After my breast cancer diagnosis, I was plagued by the thought of a recurrence. I still worry the cancer will come back, but the possibility doesn’t consume me, and I’m getting on with my life. I see my oncologist every 6 months for checkups, and he has been a lifeline for me. From the beginning, he made sure I was his partner in all our treatment discussions. He would give me his opinion and educate me about my options and never pressured me into a decision I wasn’t comfortable with. Most of all, he is a compassionate person and a good listener, and I can’t imagine going through this experience without him. Cancer has taught me that it is a family disease. Although there is no history of cancer in our family, the fact that I’ve had breast cancer at such a young age means that my sister and her daughter will have to be extra vigilant about performing breast self-exams and getting cancer screenings, and I regret that they now have that burden. I’m still sorting through all that has happened over the past 5 years and adjusting to a life I never expected to have. Once you are through with cancer and its treatment, it is impossible to reconstruct the exact life you had prior to your diagnosis. So, my challenge now is building a life with new goals that will make me happy and fulfilled. The pace has been slow, but I’m finding my way. 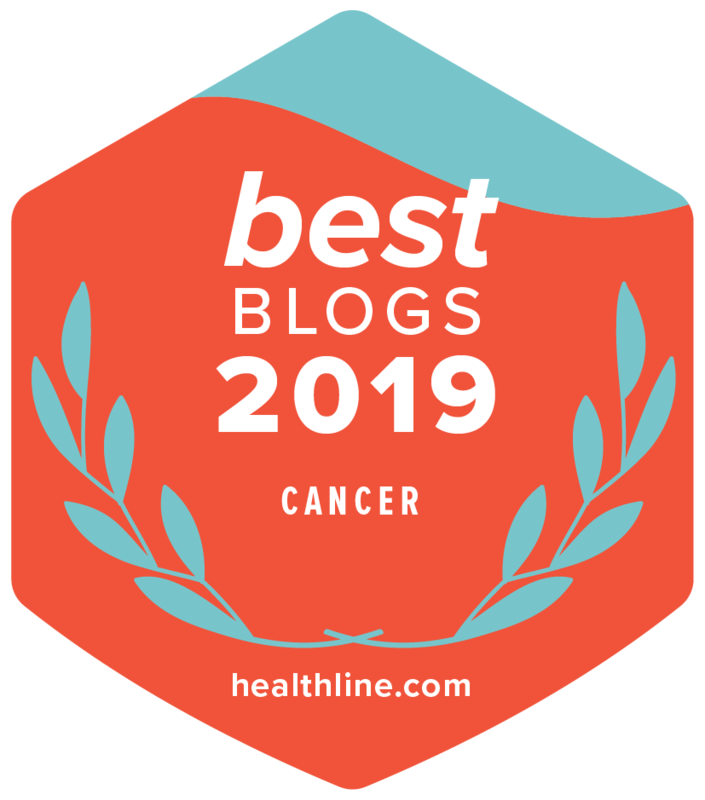 The Lineagotica Blog was named one of Healthline's Best Cancer Blogs of 2019.